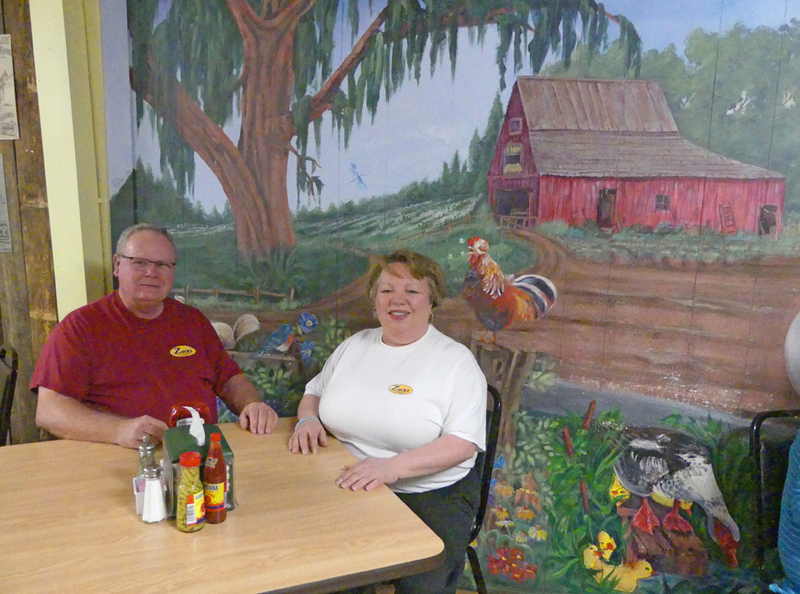 Zack and Dianne Whaley have been cooking up some of the best Southern style food for over 20 years. 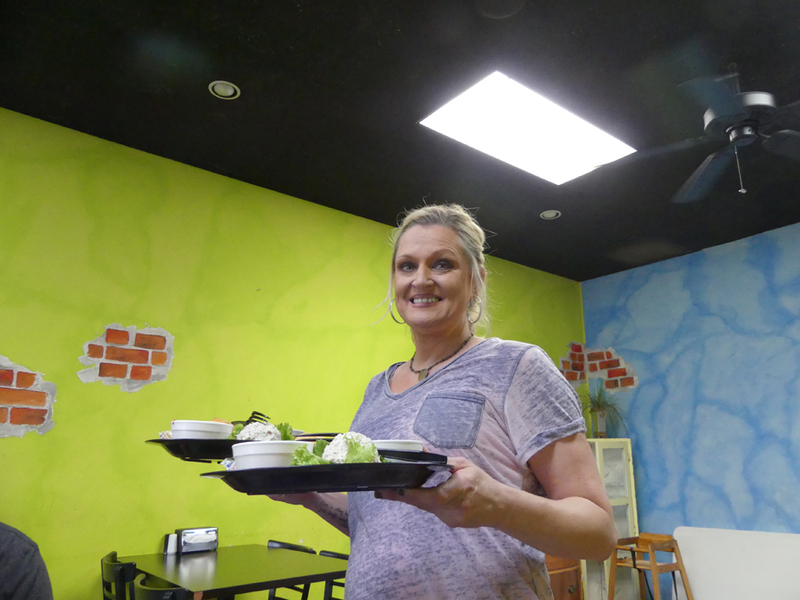 Even if you are a stranger in Dothan for the first time like I was when I visited Zack's, there are some clues that you are in for a treat. That line winding out the door was the first clue. Then stepping in and smelling the mingled flavors was clue two. The final strike three was biting into one of their award winning fried green tomatoes. For a full home run add in the fried chicken and the cornbread. Both Zack's Fried Green Tomatoes and his Flat Cornbread have been named in the top "100 Dishes To Eat in Alabama Before You Die" by Alabama Tourism Department. 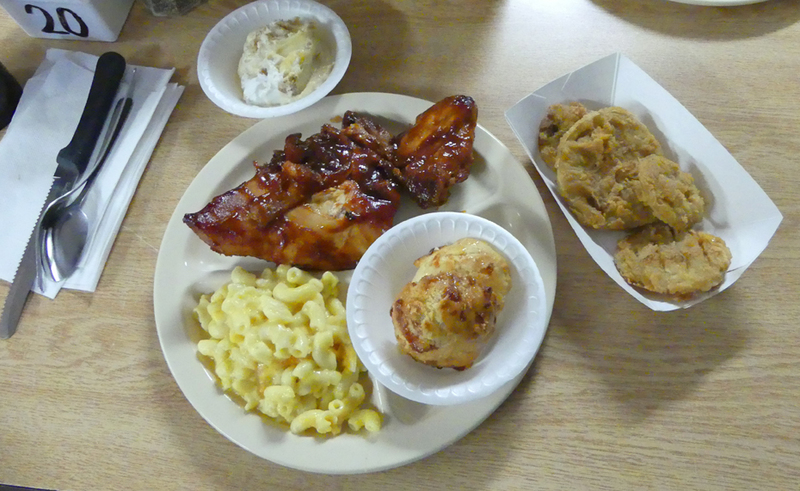 If you like down home Southern food –is there anyone who doesn't?—you can't go wrong with anything on the menu. Coming through the buffet line, choices are hard. There are usually about six or seven meats to choose from and around a dozen vegetables. The meats usually include baked or fried chicken, meatloaf, country fried steak, pork chops or other typical Southern dishes. The veggies are all true south; collards, field peas, sweet potato casserole, okra, fried or stewed with tomatoes, and that special fried green tomato. The bread choices are not hard; pick both the flat cornbread and the honey buttered roll. Now desserts are a different thing. There are too many out there to eat all of them and they all look delicious. I couldn't resist the peach cobbler and was not disappointed. The decor is a treat as well. The walls are filled with farmyard murals that depict Wiregrass agricultural life. I had Zack and Dianne take a moment's break to get a picture. 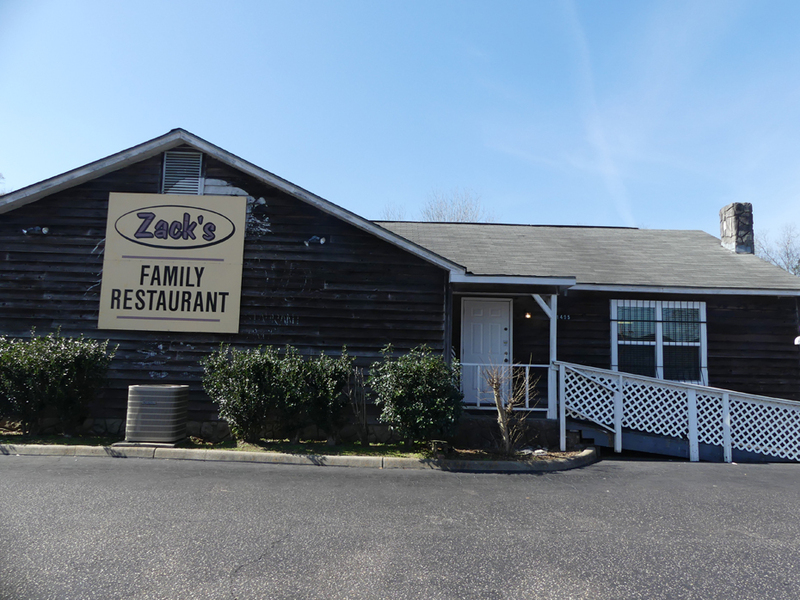 Zack's Family Restaurant is special in other ways too. Zack was named Dothan Area Chamber of Commerce's small business person of the year last year and has been recognized for their hiring and serving handicapped people. 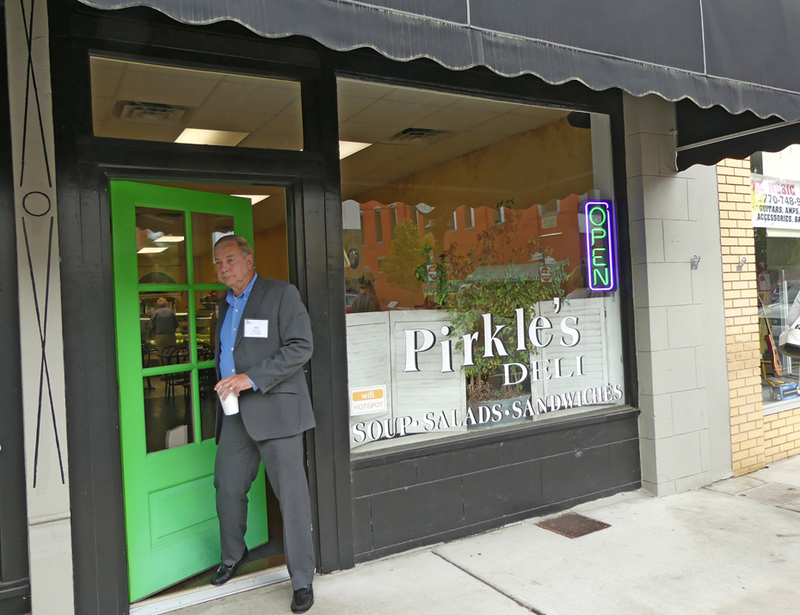 Brett Pirkle opened Pirkle's Deli in 1999 in the historic downtown Cedartown district and has been drawing crowds for lunch ever since. The atmosphere is bright and hip. 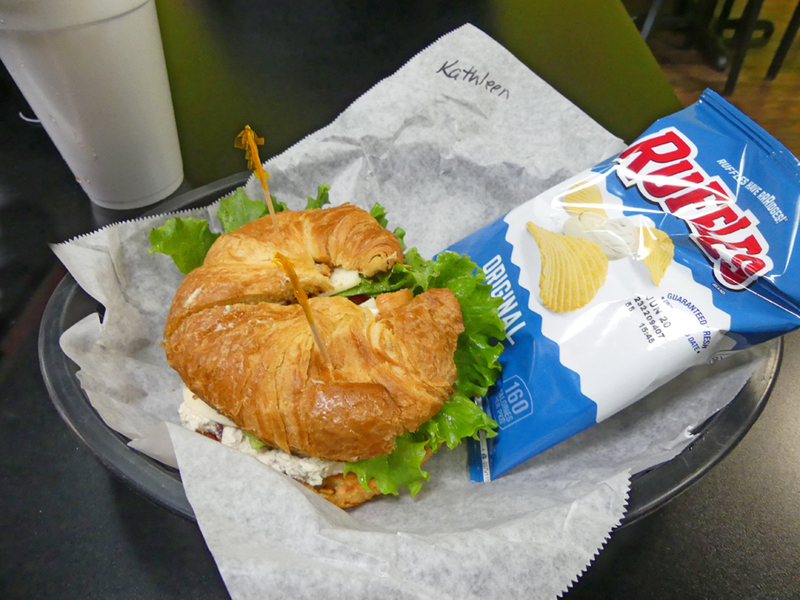 There are other restaurants in Cedartown but when asked about lunch, Bill Fann, City Manager had this to say, "Pirkles is where we bring folks. Their chicken salad is the best in the world and I love their chef salad. I haven't had anything here that wasn't good." Naturally I had to try the chicken salad. It lived up to his statement. It was piled on a croissant topped off with Provolone cheese, banana peppers, sprouts, lettuce, tomatoes, and mayo. I sampled a bit of their soup of the day, vegetable beef and found it rich and filling. It's not fancy. You place your order at the counter and get a Styrofoam cup for the drink of your choice at the fountain. Then pick a table and the smiling waitress will bring out your order. Everything is made to order so it's not a stop for fast food. Some of the other choices that looked good were The Cubano consisting of ham, pepper jack cheese, jalapenos, banana peppers, dressed on a hoagie roll. The Hawaiian looked good also. Lots of choices here. The homemade soup varies from day to day. There is an option to build your own sandwitch choosing all the components for bread, meat, condiments, and toppings. Carthage Deli is a Rt. 66 institution in Carthage since 1979. The location dates back even farther into Missouri history. 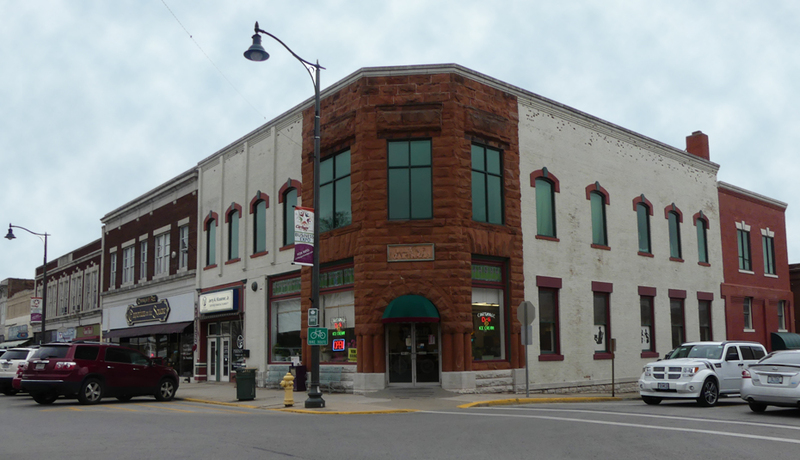 The building located on the square in downtown Cartage was once home of the oldest bank in southwest Missouri. From 1882 until 1960 the building was home to the Bank of Carthage. The exterior still looks much as it did back in the 1800s. Owner Chris Brown has maintained the interior to reflect the historic Rt. 66 persona. 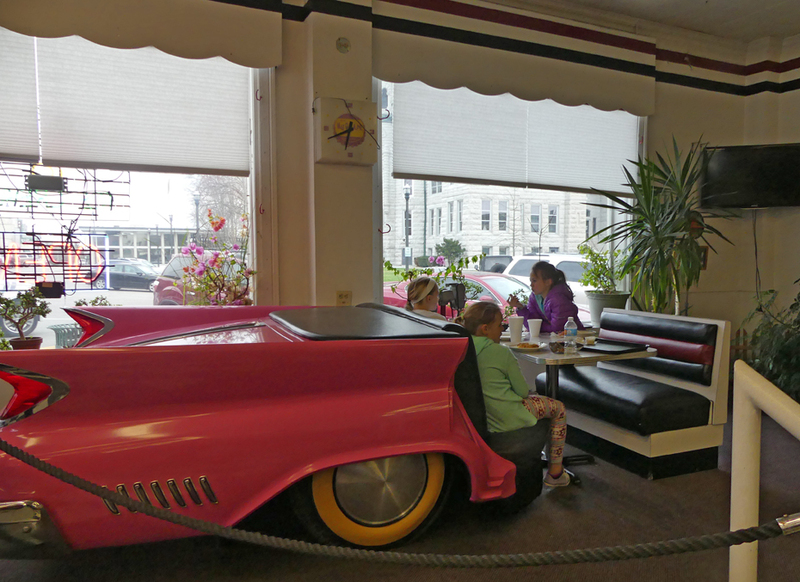 One of the first things I saw when I entered was the iconic booth made from the rear portion of a flamingo pink Chrysler convertible, '57 vintage I think. The matching pink cushions on the chairs and booths maintain the mood. A front section decorates an adjourning wall. The rest of the wall space is filled with antique restaurant signs and assorted 50s- 60s era memorabilia. There was even a vintage bicycle hanging over my head at a middle table. You expect to hear Nat King Cole singing "Get your kicks on Route 66." The food is as good as it was back in the day. 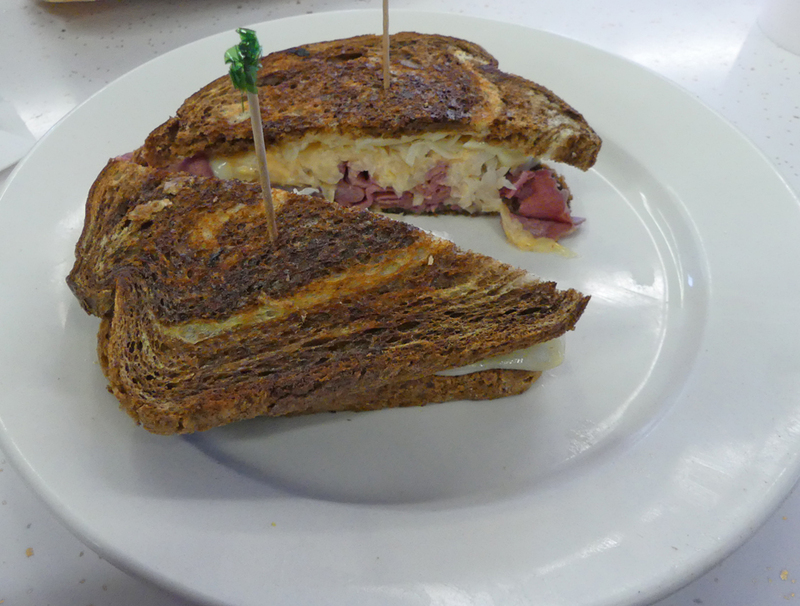 The most popular sandwich is the Deluxe Ruben followed closely by the Zebra. There are tons of other choices as well. Not sure what is in the Zebra since I chose the Ruben and never looked back; it was great. Toasty hot rye bread filled with melted cheese oozing out around the ample corned beef. I loved that there are a large selection of hot teas available as well as the coffee choices of every possible description, lattes, cappuccinos, mochas, about a dozen possible choices. II choose a cold drink, one of the Italian Sodas. That was liquid heaven. It was smooth and creamy and the perfect complement to my Ruben. 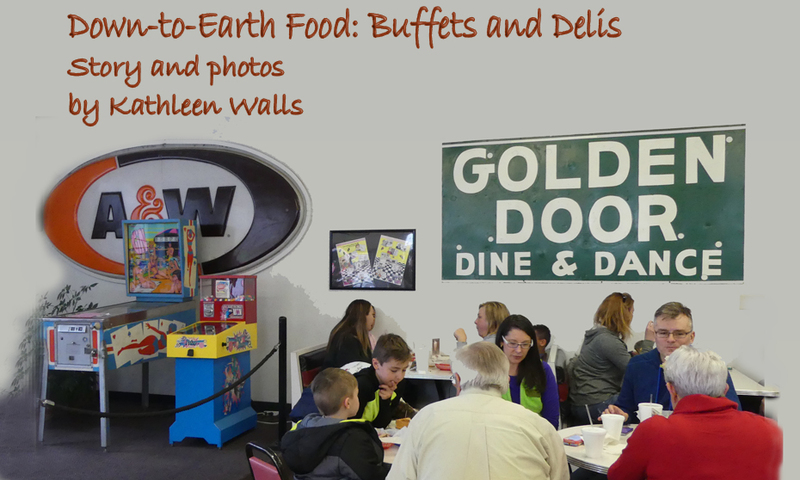 That's just a few of the fantastic delis and buffets I have visited over the years. Remember traveling friends, fancy and upscale restaurants are great but sometimes we all just need some good old down-to-earth food.